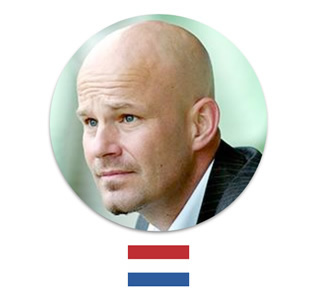 Hans Westerbeek is Professor of International Sport Business, and Pro-Vice Chancellor at Victoria University in Melbourne, Australia. He holds visiting Professor positions in Brussels, Madrid and Beijing. Professor Hans Westerbeek is co-founder of EASM and was made a life member in 2013. 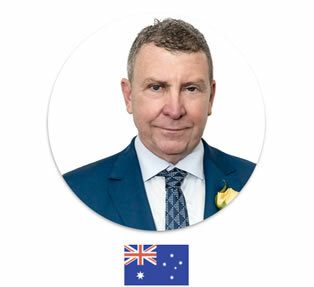 In 1994 he moved to Australia where he was founding board member of SMAANZ and has had a rewarding career as an academic and sport business consultant. Although his research career started in sport management and sport marketing, he soon made the transition to the field of international sport business. He has written more than 20 books. His new book ‘International Sport Business’ will come out in 2019. The presentation will conclude with implications for sport managers and for sport management researchers. Pilar Jericó is CEO of Be-Up, conference speaker and author, Pilar has worked with over 350 companies in Europe and Latin America in processes of change implementation, talent management and leadership development. An economist by training, Pilar has further specialized at Harvard and UCLA. 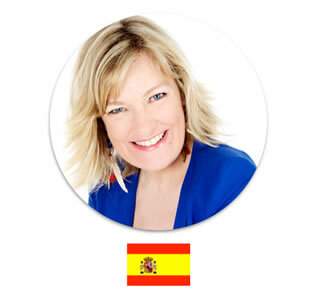 She has received widespread recognition for her work, including: One of the one hundred women leaders in Spain, due to her job in the development and diffusion of the leadership, the Spanish Police and Military Medal of Merit for her work in leadership development; the Academic Excellence award of the IE Business School; the Best Conference Speaker in Spain award. Pilar regularly works with a range of media organizations (El País, Spanish National Radio and Expansión). Fear is the great obstacle that stands in the way of employees’ effective development. It has also been the time-honored management style in companies across the board. And it’s been effective. However, if we want to foster talent, innovation or creativity, fear is a poor traveling companion. NoFear is a new way of managing (and living). NoFear doesn’t mean banishing fear from organizations or from our lives This is impossible. What’s more, fear is a necessary component of human behavior. Rather, a NoFear approach creates an environment where people can perform to their full potential. In this talk, we will look at how to achieve this. Craig Lovett is one of the most experienced professionals in the area of events management, cleaning, waste management and sustainable strategies for venues and global events. Over the past 30 years Craig has become a well-recognised success by his peers and clients alike whilst his business and relationship skills have seen rapid expansion throughout Australia, USA, UK, Europe and the Middle East. His business and relationship skills have seen rapid expansion throughout Australia, United States of America, United Kingdom, Europe and the Middle East. His vision to build a business capable of mobilising large numbers of people, large quantities of equipment, and creating solutions to venues and events around the globe is well renowned. His ability to instill a ‘we are part of the show’ mentality, combined with savvy business and relationship skills, have ensured a platform of loyal staff and clientele. Craig is invited to speak all over the world on venue design, construction; international event project mobilisation, labour management and the systems now used to ensure environmental integrity at public assembly and retail facilities worldwide. Projects that require complex coordination, extensive planning, and a commitment to excellence are Craig’s speciality. His straight forward approach ensures that all stakeholders have clear leadership and communication. Incognitus is the next chapter in Craig’s life where he calls on the knowledge gained over the journey and applies his skills to assisting others achieve their dream. In 2008, the formation of Incognitus occurred and in rapid time, the expertise, networking and strategic approach to problems, combined with the proven ability to create solutions within the venue and event sector were part of the daily staple. Craig is an outstanding negotiator and mediator, with a global network of capable resources. The process of planning for some of the worlds greatest events is both challenging and intense, but also rewarding when you get it right. The second biggest crime in event planning is arriving at opening day and not having enough space/assets to operate effectively. The greatest crime is to arrive at the same place with an over abundance of space. How do we make sure that we get this right. The “high valued” functional areas like sponsorship and broadcast typically use their might/weight to bully an outcome, others often are not at the table early enough to be effective. How do event planners achieve the balance?